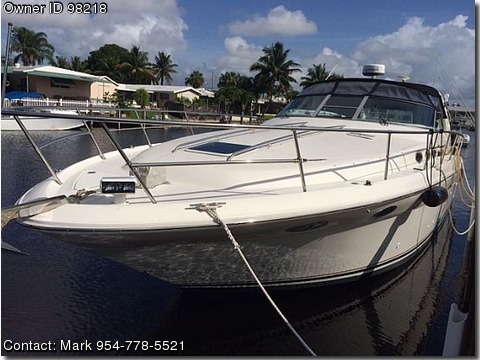 Boat is located in Pompano Beach,Florida.Please contact the owner directly @ 954-778-five five two one…1994/1995 model Sea Ray 370 Sundancer. Super clean, freshwater until 2011, recent repower (70+ hours), looks and runs like a much newer boat, well maintained, many upgrades including canvas, carpet, wood floor in salon, underwater lights, Garmin electronics, autopilot, aft cockpit upholstery. Ready for comfortable cruising of the Intra-coastal or trip to the Bahamas.